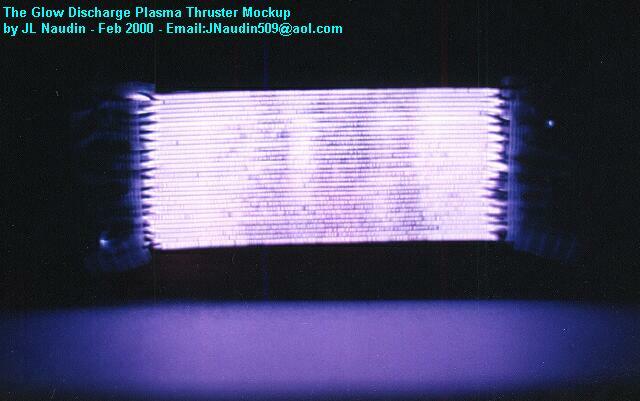 This document explains the principle of the use of a Glow Discharge Plasma skin for generating thrust in a fluid. 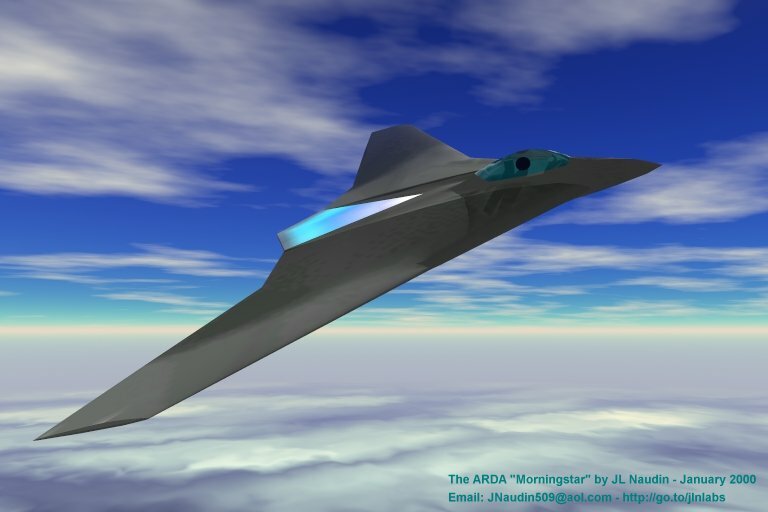 The main purpose is to build a R/C UAV ( Unmanned Aicraft Vehicle ) which will use the ARDA technologies to generate its own thrust without moving parts. In a simple GDP Panel design, the motion of the fluid above the surface of the panel is very weak or canceled because the paraelectric forces are symmetrical between each wires of the GDP panel. To accelerate a fluid above the surface of a GDP panel it is necessary to produce an asymmetrical motion of the fluid, this can be done with the use of paraelectric forces acting asymmetricaly on the surface. As you may notice in the animated picture above, the motion of fluid is symmetrical because the ions oscillate between the wires in straight line, so the result is : no motion of the fluid above the surface. With an elliptical path of the glow plasma discharge, the fluid can be accelerated in one direction and the entire GDP skin is able to generate thrust. This can be done with a weak magnetic field ( B-Field) as shown below. The Lorentz force acting on the ions in motion converts the rectilinear path of the ions into an elliptical path. 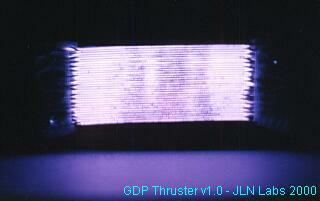 This generates micro high speed vortexes between each GDP wires. This is not MHD propulsion, but a real EHD effect which uses the paraelectric force. The Lorentz force is not responsible for the main thrust, it is only used to produce micro-vortexes between the GDP wires. The primary thrust is generated by the use of an asymmetrical paraelectric force on the surrounding fluid itself. Now, it seems easy to imagine an ARDA wing or a kind of saucer shaped craft which will use the concept of an Active GDP skin as a primary thruster.